How to get Tanisha’s attention if you are a deity. Find an artistic image, character, or have her read/watch your story. Touch her heart and make her fall in love with you. Tada! Instant convert. As a Heathen, I love Lokians. I believe Loki deserves followers, and that he serves those followers well. I believe that in a circle, He should be able to be “Hailed” along with all the others. I don’t (things are developing) have a big, lovely relationship with Him. Once I learned He was to have a drink every time Odin does, I have always poured some for Him. It seems good manners and hospitality, which is a large part of Heathenism, so it makes sense. I’ve seen similar issues with Exu, Road Keeper of the Orisha. Every ceremony opens with Him, He translates your requests for the Orisha (except for Oshun, she can hear you directly), nothing begins without Him. Though I have heard that people toss His offerings into the street, so He doesn’t actually come in. He’s amoral, and that makes some people uncomfortable with Him. 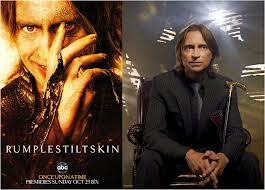 I found Mr. Gold/Rumplestiltskin on “Once Upon a Time” to be the epitome of Loki. Charming, devious, and yes, loving, and always, always, sharply dressed. Magical. Loving. Plus, the character’s story is blended into “Beauty and the Beast” which is my absolute favorite faery tale of all time. I have read hundreds of versions of it, and have at least 5 at my disposal right now. If I had to write a thesis, it would be on this faery tale. As soon as I loved Mr. Gold and realized he was Loki-ish, (I swear, this is like my God Signal…wait until she falls in love with you) Loki came like lightning. During our first thunderstorm, here in McCloud. He bounced and bounced like Tigger, and I called up my Priest and Priestess people and went “Um…Help?” and they helped. Loki’s followers have told me that He helps people who have been abused. Perhaps that’s why he’s here. He’s asked for unusual things. A mirror and a piece of beeswax (but then, I’m an Oshun and a beekeeper, so…maybe useful?) one of my 2 quartz crystal penises (ha ha) and a piece of gold. In this way, my Loki altar looks much like my Oshun altar, and it takes me a minute to grasp why She might have 2 altars in one room…then I remember. He’s also asked that I devote a fire to Him in our wood stove. We’ll see how it goes. He has a lot of presence. This entry was posted in Uncategorized and tagged abuse, loki, Oshun. Bookmark the permalink. 16 Responses to Loki will be Loved. If they can’t persuade, they kinda fail at Deity, no? LOL true. I was tempted to just say that Loki has a thing for hot chicks (and dudes) and leave it at that. In all seriousness though, Loki does have a bit of the Beast in Him, and anyone who can acknowledge that and still love Him is precious to Him. I love this article 🙂 I too saw some Loki in that character. Hey, you have a blog! Yay! I love what you wrote here. I also believe most (if not all) deities have an aspect of love to them, and we get presented the parts of that deity that are most important for us to see/feel. For me, Loki is *all* about love, always. Love, acceptance, fallibility… I love that he is the deity that teaches us that we can screw up and then fix things, that something like “redemption” is possible. It doesn’t surprise me that he’s riding the Ochun vibe for you. And *yes* on Loki being a deity who is really good with survivors. He loves us for all we’ve been through, not just the “brave”, “good”, “noble” whatever bits. my dear dear friend… how did i not see this before now?! My very dear friend Wrote this about Himself. Tanisha is one of my very dearest friends and she amazes me so much with so many things she both is and does. But bottom lining it all for me is that Loki is so very many things, but beneath it all what He is for many is Love in many beautiful and ugly ways…. Thank you, darling! I’m flattered as always. I love the words, “He was like tigger” Loki certainly is but I see him as looking more like Loki in Thor 2 with that length of hair and I was a bit freaked when I seen the Marvel Loki as that is how I see my Loki in personality. Now I didn’t even see that film before I had my first interaction with him. Thank you for your flattering response. I don’t get Marvel Loki, but just because I don’t doesn’t make that an invalid representation! I do think that in some ways, creators can’t help but be plugged in to the spirits they work with, even if they just see them as archetypes.